Sublime, mellow and flawless, this extraordinary ingredient from Kyoto Prefecture is truly exceptional. 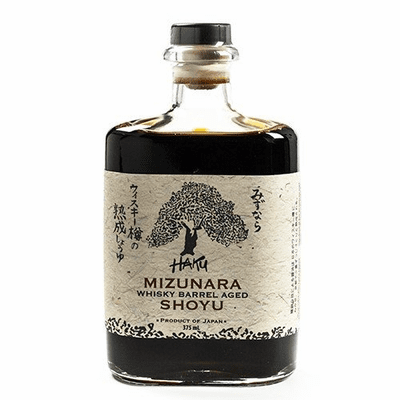 Haku Mizunara Whisky Barrel Aged Shoyu is first traditionally brewed preserving ancestral methods of the Mushiro Koji process yielding an exceptional shoyu. Master craftsmen then thoughtfully age the shoyu in Japanese Whisky Barrels made from Mizunara hardwood, a type of Japanese oak. The result is a mellow, delicate shoyu with a touch of sweetness that stimulates all of the senses.